These videos will help you understand how research on ALS is conducted and how each donation is important. Meet researchers devoted to the future of ALS research. Dr. Michael Strong, a pioneer in ALS research with more than 20 years’ experience, comments on where your donated dollars go in research and the achievements of his lab at Western University. Meet these researchers who discuss the nature of their work, what inspires them, what motivates them to overcome barriers, and what they hope for the future of ALS research. *Please note that information in some of these testimonials may not be up to date. Véronique Belzil first developed her expertise in neuroscience by specifically studying how the brain works in neuropsychology. She then spent several years learning about the contribution of molecular genetics to neurodegenerative diseases, especially to amyotrophic lateral sclerosis and frontotemporal dementia. Read more. 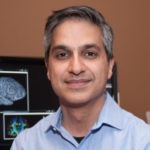 Since 2009, Dr. Botez has been working as a neurologist for the CHUM Neurology Department specializing in neuromuscular diseases, as well as, the Director for the Laboratory of Electromyography. Dr. Botez devotes his time between the General Neurology Clinic and more specifically to the Diversified Neuromuscular Clinic and the Amyotrophic Lateral Sclerosis Clinic. In addition, he is also investigator and co-investigator with his colleague, Dr Matte, in numerous research studies on ALS. Read more. 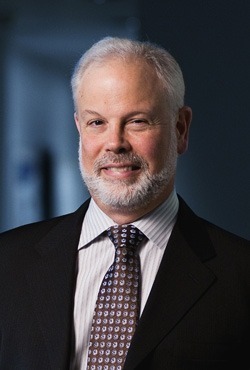 Pierre Drapeau is a professor and Director of the Department of Pathology and Cell Biology of the Faculty of Medicine at the Université de Montréal. Research in Pierre Drapeau’s laboratory focuses on development of the motor nervous system in the zebra fish by combining cellular neurophysiology and molecular genetics. Read more. For nearly 25 years, Dr. Durham, a professor at the Montreal Neurological Institute (MNI) of McGill University, has been studying how motor neurons succumb in ALS and looking for treatment strategies. Dr. Durham has a translational mindset. She uses basic research to understand disease at the cellular level and applies that information to identify and test potential therapeutic approaches. 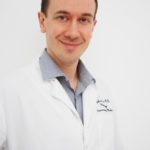 Nicolas Dupré is a newly established clinician-researcher who completed his medical training at McGill University, his neurological training at Laval University and the Montreal Neurological Institute, in addition to two years of post-doctoral training including one at Massachusetts General Hospital. Read more. It is safe to say Dr. Nicolas Dupré knows a thing or two about genetics. The focus of Dr. Dupré’s research is the search for genes associated with neurodegenerative diseases such as ALS. Click here to know more. Dr. Angela Genge completed her medical degree at the Memorial University of Newfoundland. She completed her Canadian and American certifications in Internal Medicine and Neurology prior to completing a fellowship in neuromuscular diseases. 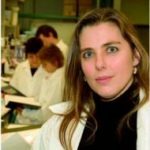 She joined the staff of the Montreal Neurological Hospital in 1994 and became Director of the ALS Clinic in 1998. Read more. 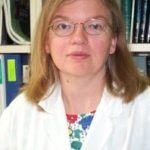 Titulaire 2008 de la bourse de recherche doctorale sur la SLA – Société canadienne de la SLA en partenariat avec l’Institut des neurosciences, de la santé mentale et des toxicomanies. Dr. Geneviève Matte studied medicine in 2003 at McGill University and completed a specialized degree in Adult Neurology in 2008 at Université de Montréal. From her involvement in the Amyotrophic Lateral Sclerosis Clinic and Motor Neuron Diseases at the CHUM, Dr. Matte is also in charge of clinical research projects in this field. Read more. Dr. Rouleau obtained his PhD in Genetics at Harvard University in 1989. His post-graduate research in neuroscience was conducted at the Montreal Neurological Institute and at Massachusetts General Hospital. Dr. Rouleau conducted his clinical training in internal medicine at the Montreal General Hospital, neurology residency at the Montreal Neurological Institute, and research fellowship at the Massachusetts General Hospital. Read more. 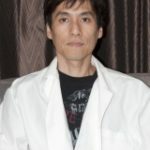 Dr. Tsuda’s research aims to determine the function of genes relevant to major neurodegenerative disorders. His laboratory uses powerful genetic techniques developed for Drosophila, and applies the findings to mouse studies. Read more. 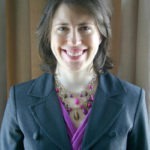 Dr. Zinman is an Assistant Professor of Medicine in the Division of Neurology at the University of Toronto. Dr. Zinman’s primary academic focus is in the areas of the epidemiology, management and treatment of patients with ALS and neuromuscular diseases. He formed the Canadian ALS Research Network which is a consortium dedicated to finding treatments and improving care for patients with ALS. Read more. 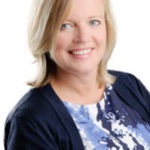 Wendy Johnston is a Professor of Neurology at the U of A, directs the University of Alberta ALS Clinic and Programme. While at Oregon Health Sciences University (1992-2000) she established the first ALS clinic in Oregon; her collaboration with Linda Ganzini focused on end of life issues and desire for hastened death in patients with ALS. Read more. Dr. Neil Cashman’s work focuses primarily on the fi rst mutant protein discovered in ALS (in 1993), superoxide dismutase 1 (SOD1) and its primary toxic mechanism, which is widely believed to result from a change in SOD1’s normal shape. All proteins have a normal three dimensional shape that allows them to function as they do (called their ‘fold’). When SOD1 is misfolded, either by a mutation (in familial cases) or through damage, it is toxic to motor neurons and other cells involved in ALS.